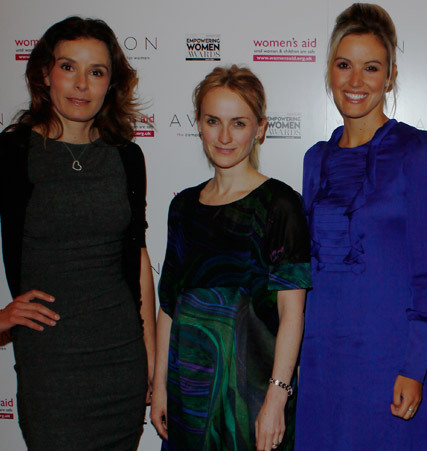 Last night, saw the launch of the Empowering Women Awards at the Mandarin Oriental Hotel, Knightsbridge. The winners will be announced later on in the year, but last night we spotted guests such as Will Young and Beverley Knight turning up to hear speeches from Tana Ramsay and Charlie Webster. The Empowering Women Awards – created by Avon and domestic violence charity Women’s Aid and in association with marie claire – will recognise the courage of women survivors of domestic violence and those who work to support victims. The panel of judges include the Prime Minister’s wife Sarah Brown, Dancing On Ice star Tana Ramsay and Hollywood A-lister Reese Witherspoon. Among other awards, they will vote for Woman Survivor Of The Year and Grass Roots Hero for a woman who has gone beyond the call of duty to help those in need of support. If you would like to nominate someone for an award, go to womensaid.org.uk by the closing date of April 30.